So upgraded to Gimp 2.8 and now text antialaising is green. Use white text on a black background to check it out. This bug makes gimp completely unusable :( This is really urgent matter. i cannot understand why the developers have introduced this "greenish font antialiasing" bug (or do they call it feature?) in the latest release. I have been using Gimp in a production environment and now will be forced to switch to Photoshop as Gimp became absolutely useless the moment this glitchy version came out. Please fix it as soon as possible, this report is almost 4 months old and nothing happened yet. 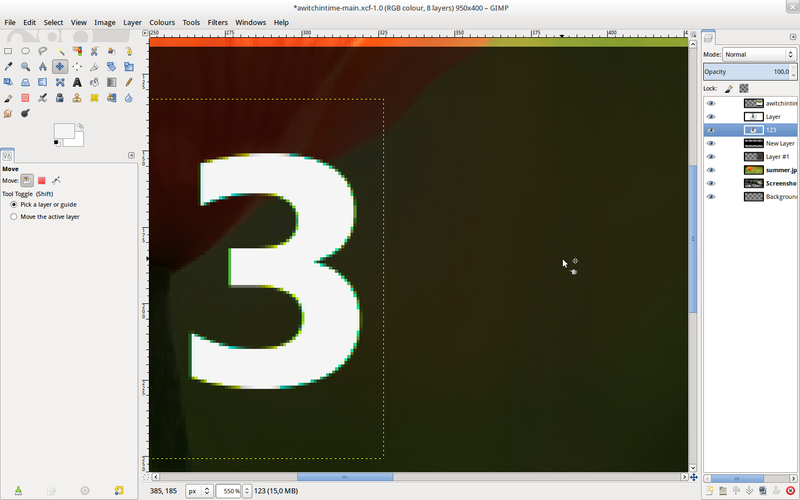 This solved the bug for me on Ubuntu 13.04, so I can go on using Gimp in my works. I have this bug :( this is too bad! I don't know if it's still happen on more recent version of Ubuntu, KDE, Gnome, etc... If anyone have more infos I will be glad to read them. If they think that a user might want to produce a PNG with rgba set for a particular sub-pixel layout then they could have a UI choice on the text-tool's options, just as they currently have anti-alias to override the system and user. Did you try if it's still an issue with the Debian in recent versions of Ubuntu? I can only confirm it is still an issue with Antergos (arch). This is resolved for me. Ubuntu 18.04 running stock gnome shell session.